The Pub on the Pier01493 662631work Public HouseThe menu at Pub on the Pier in Gorleston-on-Sea is based on the principles of using high quality raw produce, freshly cooked and presented attractively. There is a wide selection to choose from, including fresh fish, grills, vegetarian items and other dishes, and we are happy to discuss your requirements for particular dishes, special diets, wines and champagnes. If you are planning a corporate or business event, we would be delighted to meet and discuss your specific requirements for both catering and room layout facilities. Please do not hesitate to contact our function manager and wedding co-ordinator at any time to discuss your special function. 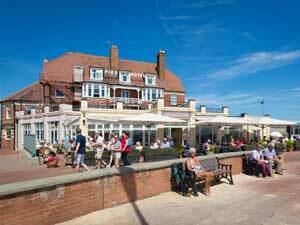 The menu at Pub on the Pier in Gorleston-on-Sea is based on the principles of using high quality raw produce, freshly cooked and presented attractively. 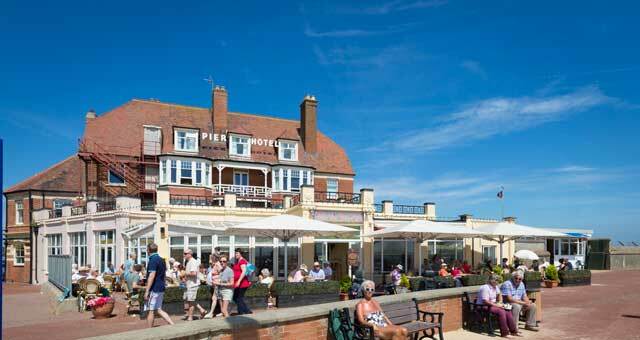 The Pier Hotel is located on the seafront at Gorleston-on-Sea, which can be accessed from all major incoming routes to Great Yarmouth following signs for Gorleston-on-Sea.